Our audio transcription services make it easy for you to turn your audio recordings into written transcripts. We can handle any digital audio file format you may have, whether it be MP3, MP4, WMA, WMV, DSS, DS2, WAV, dvf, msv, mpg, fly and many, many others. We can also handle WebEx recordings, You Tube videos, Vimeo videos or anything from the internet. 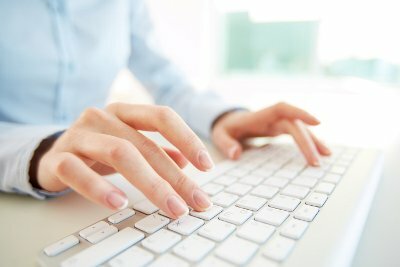 It is very easy to use our transcription services. Just click on any of the upload a file links that you will find at the right hand column of any of our pages. That will take you directly to our portal where you will fill in some basic information such as your name, your e-mail address, and if you would like full verbatim transcription or cleaned up verbatim transcription. It will also ask you to set a due date of when you would like your transcript returned to you. You pick the day and the time. It will then take you to another screen where you will be able to browse for your audio file and upload it. And, yes, you can send multiple files at a time if you wish. Once we receive your file(s) we will send you an invoice and instructions on how to make your payment. Once we receive your payment your job will be in our queue for one of our highly skilled, United States based transcriptionists to claim and prepare a transcript. Once they have prepared your transcript they will upload your transcript and it will be in our QA system where we will look it over and polish it up to the best transcript we can offer you. We will then return your transcript to you in MS Word format. We usually e-mail these to you, but if you would prefer we can send it through our secure and encrypted system. Please just note this when you upload your files for transcription. If you are a business we can set up monthly billing rather than requiring payment right away. If you are a student whose school is paying for the transcription we can also set up monthly billing for you. We do our best to offer personalized and professional service to each and every client. Please do not hesitate to contact us if you have any questions during any step of the process. Thank you for trusting Pioneer Transcription Services for your transcription needs.